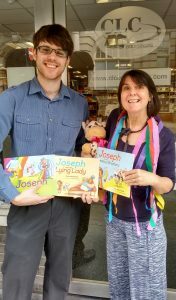 The Young Joseph launch took place at the CLC Bookshop in Newcastle on Saturday. We had fewer people than expected (apparently clashing with a Messy Church conference we weren’t aware of!) but those of us who were there had a great time. 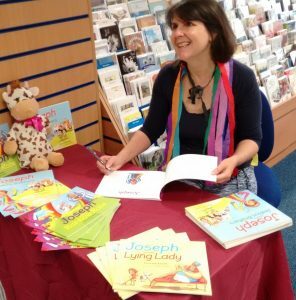 Here I am with Chloe the Cow reading the stories and signing books. Then there’s a slightly manic shot of me (too much coffee) and assistant bookshop manager, Ian Taylor. If you couldn’t make it on the day there are still signed copies available. 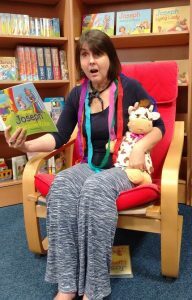 Be the first to comment on "Young Joseph launch in Newcastle"